Washington, DC (WUSA9) — If you love great deals but hate waking up early, Lowe's is the place for you. Their Black Friday deals start well before Thanksgiving. Check out all they have to offer early, and spend Friday eating leftovers instead. Here are the specials you won't want to miss. Score some holiday swag. Select Christmas decorations are up to 20% off. Get a new string of lights if yours is a tangled mess. 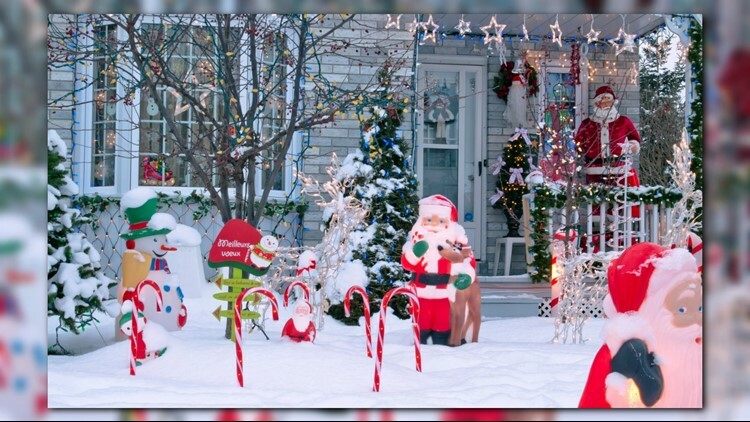 Or pick up an inflatable Santa Clause and Rudolph for your front lawn. Spend Thanksgiving weekend giving Clark Griswold a run for his money. Revamp your kitchen. If you're not hosting Thanksgiving dinner because your kitchen can't handle the job, get the necessary upgrades at Lowe's. Bake your holiday feast in a new self-cleaning oven, and don't worry about scraping up a mess. Makeover your toolbox. If you've been using the same hand-me-down tools since your first apartment, it's time for top of the line equipment. Get 30% off select Irwin and Lenox tools at Lowe's. Get a state of the art tool set to please the handyman or woman in your life. This article is sponsored by Lowe's. For more shopping tips, follow Great Day Washington on Facebook, Twitter, and Instagram.